Facebook user, Ibidun Pino Olaniyi received backlash after telling a depressed Facebook user who wanted to commit suicide to "Come and take rope" . Read HERE if you missed. 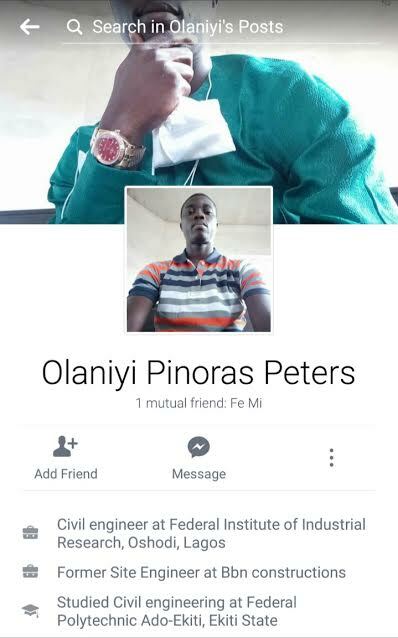 He has now changed his name on Facebook to Olaniyi Pinoras Peters, and also changed his profile photos.